As soon as I crossed over a large hill the view of rolling mountains appeared before me and took my breath away. Driving into Blue Valley Vineyard was peaceful and majestic, and I was transported back to the Big Island of Hawaii or the vineyards I used to photograph at frequently in Austin, Texas. Coria and Mike’s day was as laid back and peaceful as our surroundings. From the moment I arrived, Coria and her girlfriends were having a blast together as they finished getting ready. 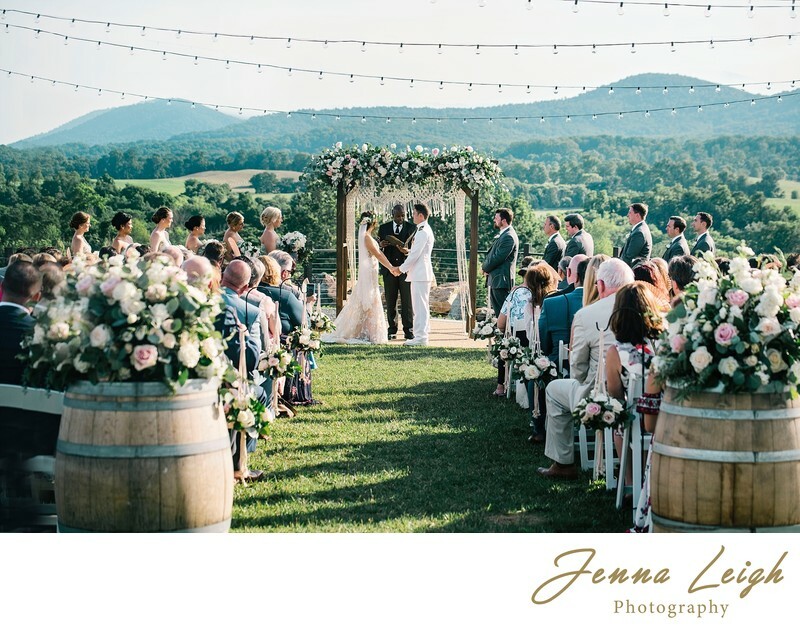 Mike was preparing to see his beautiful bride for the first time during their special first look, which took place in a scenic spot that showcased the venues surrounding natural beauty and majestic rolling hills. Coria and Mike were so naturally drawn to each other all throughout the day. Capturing sweet moments between them and their family members was not a difficult task at all. Thank you Coria and Mike for allowing me into your special day and for entrusting me to capture these beautiful moments. I wish you both many years of love, happiness and joy. Location: 5535 Blue Valley Way, Delaplane, VA 20144.